When then-president Barack Obama announced his government was willing to spend $63 million on a series of commemorations of the American War in Viet Nam stretching over a decade, we in Veterans For Peace knew we had to respond. We built a website vietnamfulldisclosure.org to counter the Pentagon’s own website that supposedly chronicles how that war unfolded. We knew that their story would leave many of our stories out. We wanted more. For example, if you go to our site you’ll find a detailed timeline capturing the many ways that soldiers resisted that war in and out of uniform. You’ll find plenty of narratives from soldiers and war resisters that do not flinch from the truth nor equivocate on the immorality of that war. We will continue to give our accounts — and yours — so that younger generations can get the whole picture, the full disclosure. Part of our efforts includes a letter writing campaign. Over the past four years we have collected and delivered, on Memorial Day, 400 letters written to The Wall. 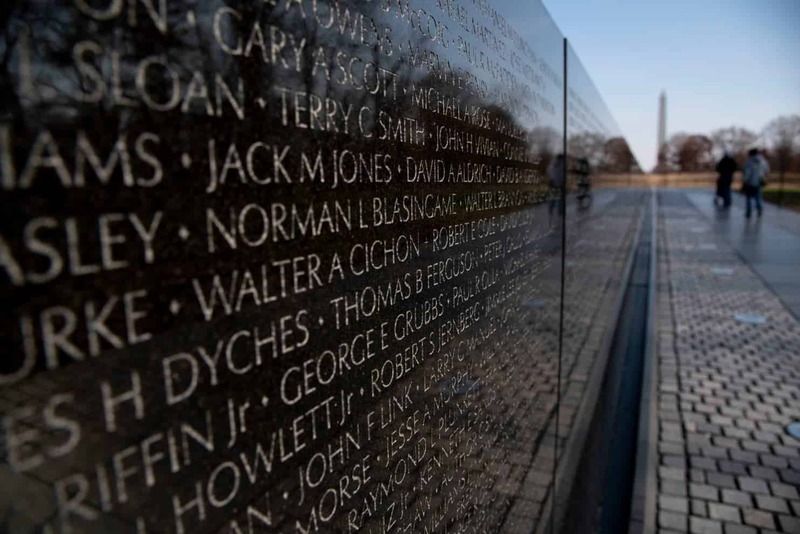 We print the letters out and then put them into envelopes marked “Please Read Me.” At 10:30 am on Memorial Day we descend into The Wall in Washington, DC to solemnly place these letters where they belong at the feet of the names on that memorial. They are read by visitors to The Wall throughout the weekend and then are placed into the National Parks Archives. We take this ceremony very seriously. It is not a political gimmick. It is an act of reverence. If you’re interested in what these letters say, we have collected them into two volumes (Letters To The Wall) that can be purchased through LuLu.com . Since 2019 marks the 50th anniversary of the upsurge of resistance against the war in the ranks and on the streets of America, we are extending a special invitation to those who resisted and their loved ones who bore witness to their courage. Please write a letter to The Wall. Please join those who were impacted by the war, from soldiers to mothers and fathers to children and grandchildren to peace activists, as we write to those who died a half a century ago. Let them know that we have not forgotten them. If you’re so moved, please send your letter to me, Doug Rawlings, at this address: rawlings@maine.edu and I promise you that we will deliver your words on May 27, 2019 to The Wall in Washington, DC. No matter how you lived out those days, your story needs to be told. It is through your words that history will reveal itself to all generations. Please join us. Click here to read submitted letters for 2019.